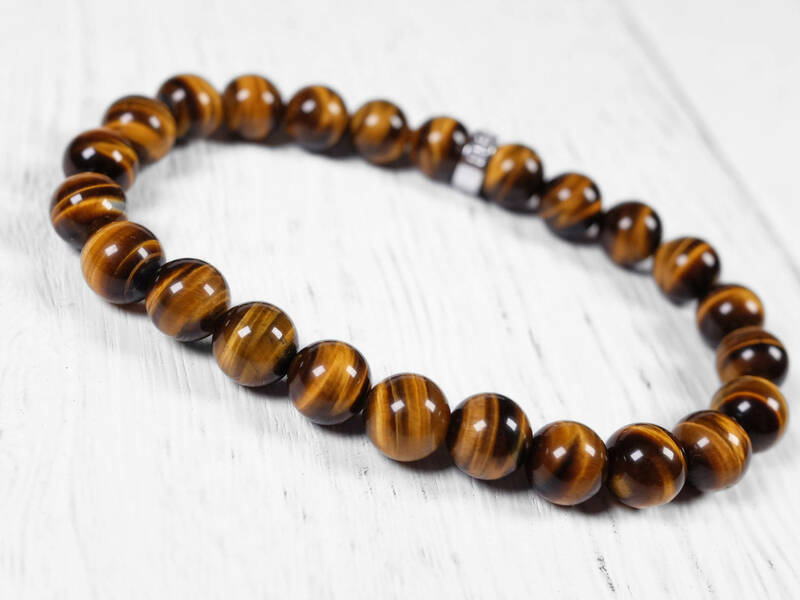 This may be the best tiger's eye on the market. Every bead has strong and intricate 'chatoyance' effect, which is the 'eyes' of this gemstone. 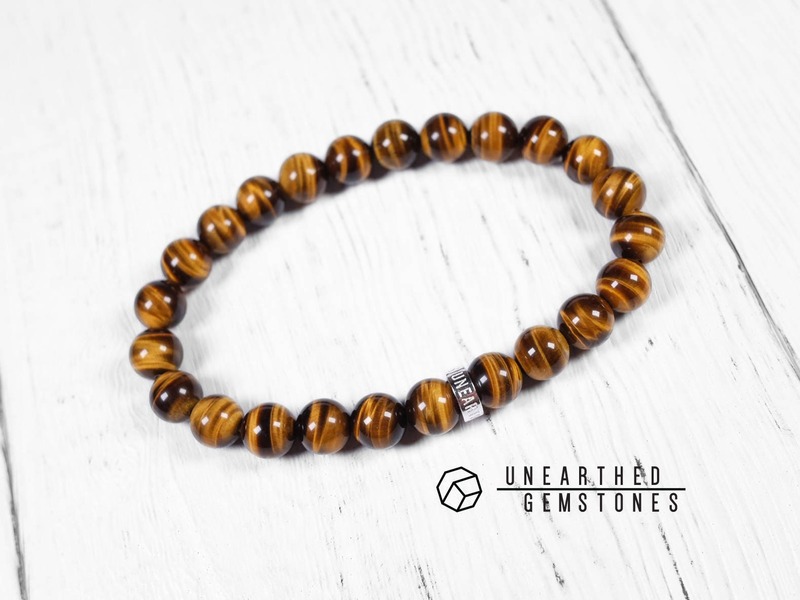 The golden streaks are sharp against the dark brown tiger's eye stone. The overall effect seems almost electric. 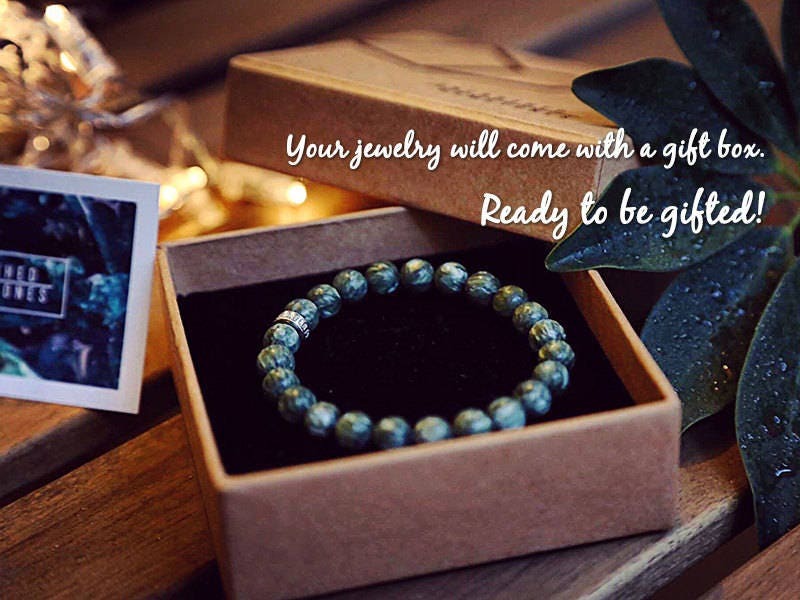 The beads are handpicked to ensure each one is as close to perfect as possible. 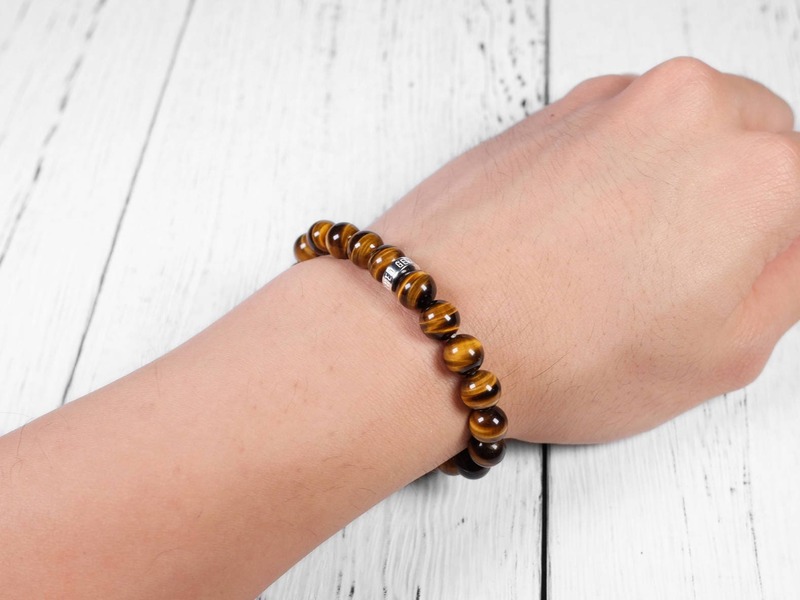 Because tiger's eye is a relatively durable gemstone, this bracelet is a great piece to showcase this iconic gemstone for years to come. 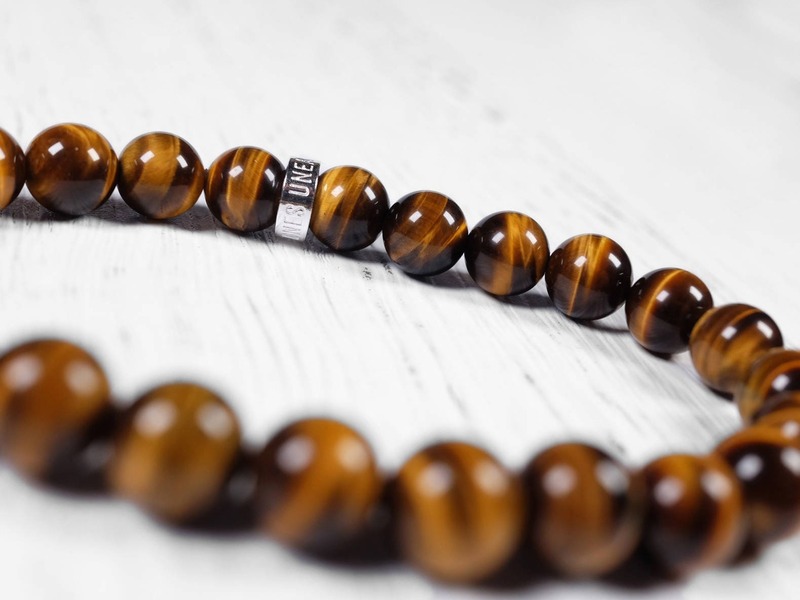 Tiger’s eye is a brown or dark blue variety of quartz with an effect called chatoyancy. 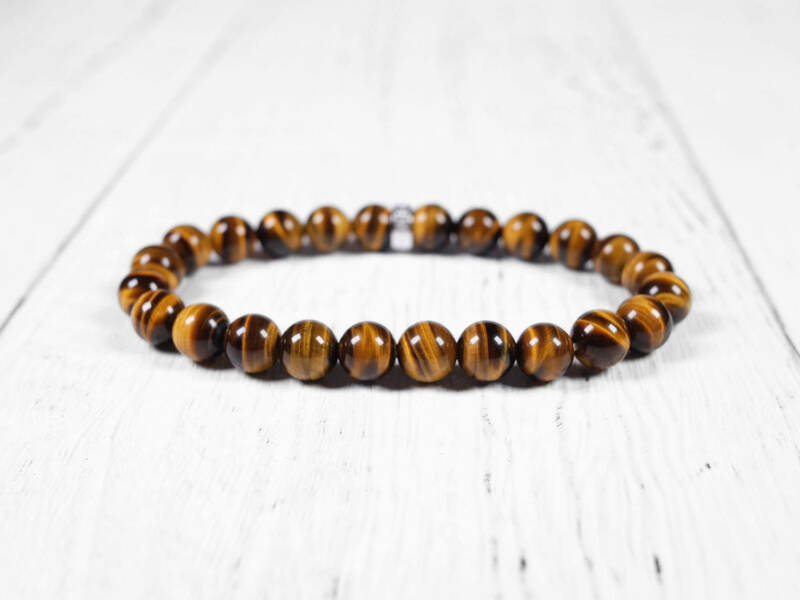 Chatoyancy appears as streaks of light reflecting off the tiger’s eye. When you move your viewing angle, the light bands can appear to be moving on the stone’s surface. 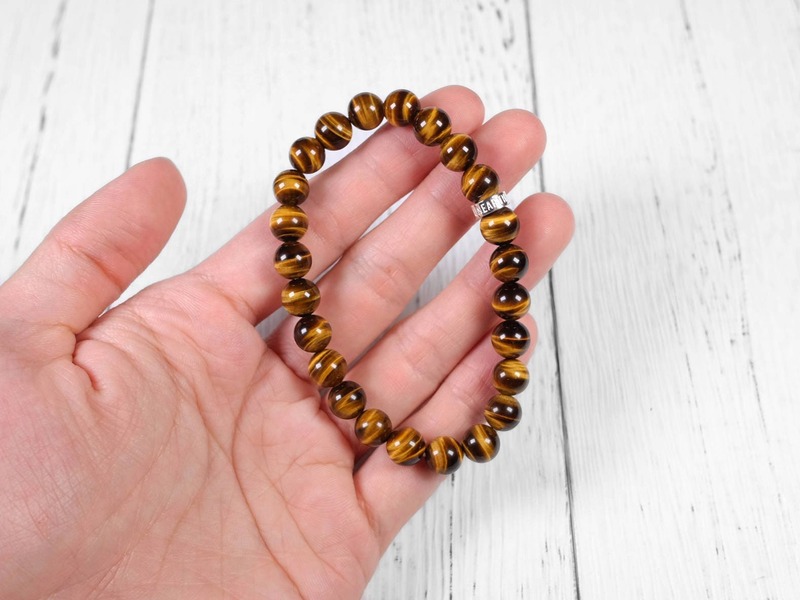 Usually tiger’s eye is cut in the shape of a sphere or a cabochon to best showcase the chatoyancy. 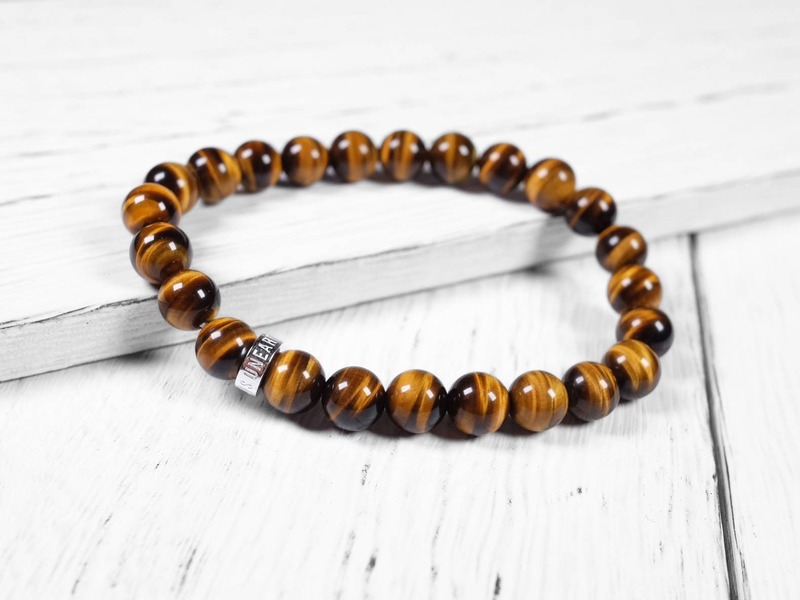 Tiger’s eye is a popular gemstone because of its unique appearance and affordable price. BEAUTIFUL, will probably order another as gift! 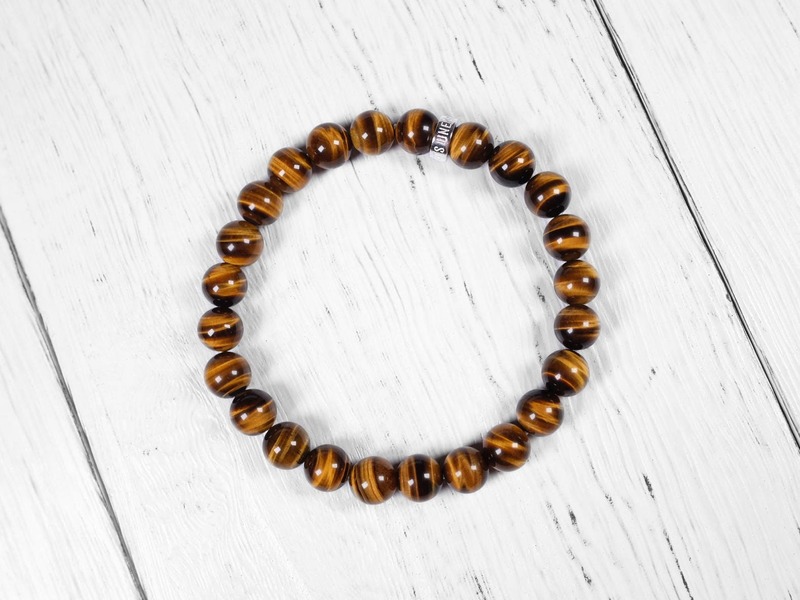 Absolutely outstanding quality bracelet from Andy as usual. Extremely happy and Andy is such an amazing person. 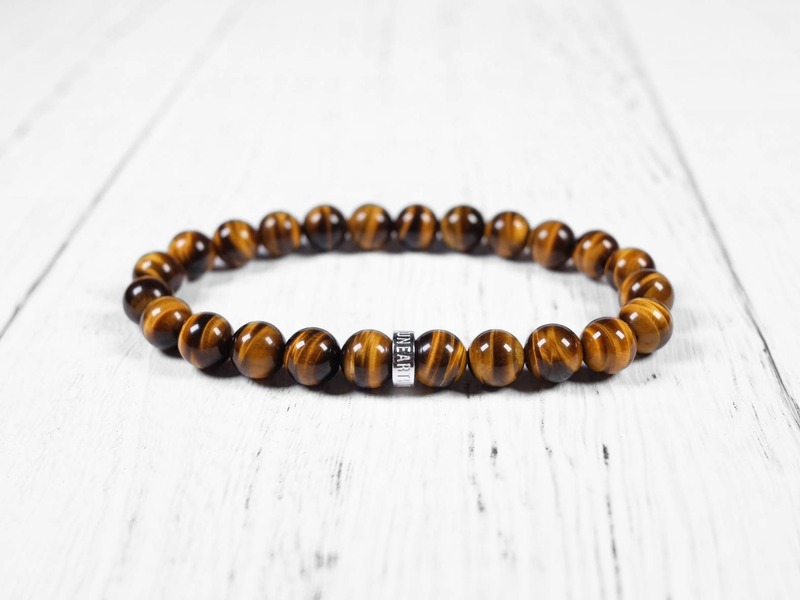 This is my go to shop for excellent quality bracelets :).